Now retired, David Duckham is a former English rugby union player who also turned out for England. Generous with his time, David is now an active charity worker and a regular on the after dinner speaking circuit. In all he turned out 36 times for England between 1969 and 1976 and scored 10 great tries in that time. He was a fine centre with great balls skills and quickly established himself in any side in which he plays. His game was marked by pace, swerves, sidesteps and an ability to wrong-foot his opponents, although this came at a time when the English team were struggling, especially against rivals Wales. 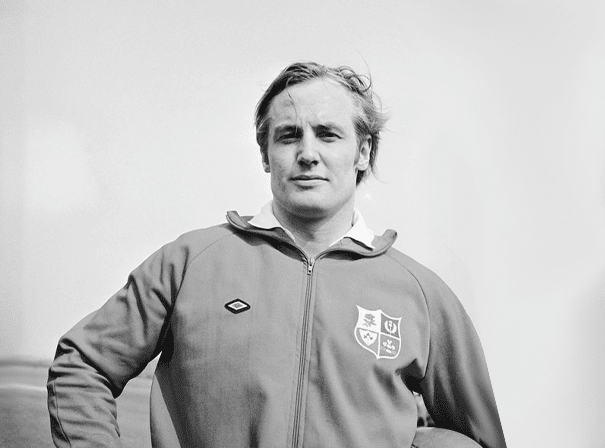 For his domestic club side, Coventry, he played 12 seasons from 1967 to 1979 and after retiring was honoured with the MBE for his services to sport. He has also written an autobiography called Dai for England and so really knows the game inside out. Like many of his peers, John is an Honorary President of the rugby charity Wooden Spoon, which works to improve the lives of disadvantaged children and young people in Britain and Ireland. Should you need a sporting personality who has a great view of his sport and plenty of experiences to call upon, David is a fine choice who can entertain and edify all sorts of audiences.